Kia Pak T20 series jetnay main kamyab hoga? Guptil out hojao yrr ???? Pakistan won the toss and decides to get molested first ???? Guptill what a rampage mannn. NZ 52/0 in 5 overs???????????? First break mein apny kapry press karon ga ab ???? 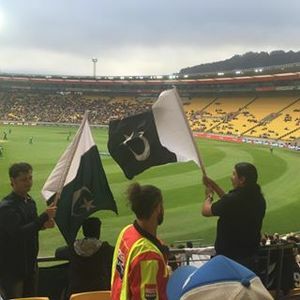 #Nzvpak what's going on..! NZ'rs in a hurry..